Connemara Day Tours operates minibus tours. 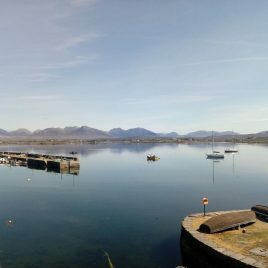 Connemara Day Tours is run by John Hannon who make’s it his goal to offer an excellent service in order for his clients to enjoy and make the most of their stay in Ireland. B) Connemara Tour of Omey and Renvyle Peninsula and Kylemore Abbey Quick Stop. Enjoy a Private Tour Escape with local accredited tour guide, John Hannon. The maximum number of people per tour is ten people. All Tours start and finish at your Clifden accommodation provider.